Rare opportunity to purchase two separate homes on one title in Coopers Beach. In total there are five bedrooms, two bathrooms. Both properties are currently tenanted (A. $280.00 and B. $290.00 per week ) returning a total weekly rent of $570.00 per week. The properties are known as 49A and 49B and have separate services ( independent of each other ) and are similar size, age ( 1950's ) and style. The two differences are; 49B has three bedrooms and a wood fire and 49A has two bedrooms. NOTE. Neither dwelling has a Code Compliant Certificate and are being sold "AS IS". This property is only a two-minute drive to amenities at Coopers Beach Shopping Complex (doctor, dentist, chemist, Four Square and shops) and beautiful Coopers Beach. A five minute drive to the historic village of Mangonui; Post office, Hotel, "World Famous Fish & Chips", restaurants and services. A 30-minute drive to Kaitaia (hospital, airport, schools, shopping etc) and the Karikari Peninsula including the Carrington Golf Course and Winery Estate. About an hour's drive to the Bay of Islands, with Air New Zealand flights. 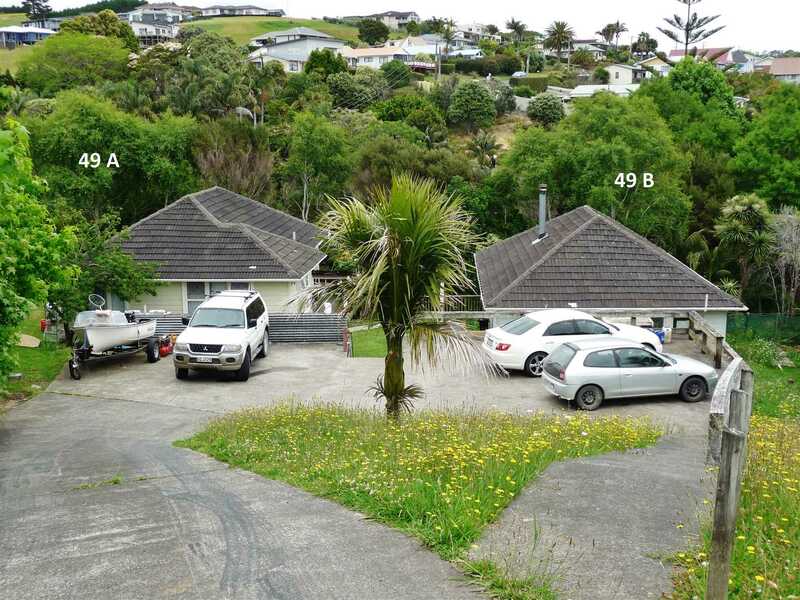 Easy access to arguably New Zealand's best bays, beaches and fishing with boat ramps at Taipa and Mill Bay within a five minute drive.